Private-sector economists have said that the escalating trade war between the world’s two largest economies could disrupt the global supply chain. For instance, Singapore companies that produce immediate goods used in the production of China’s exports to the US may see lower demand for their goods. 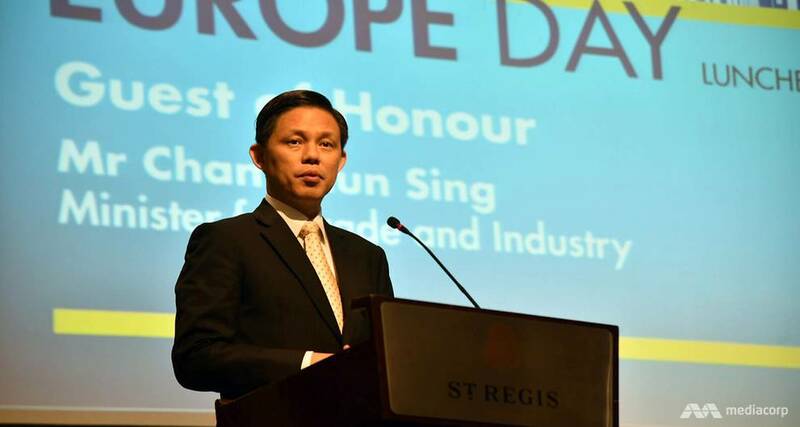 As such, Mr Chan said Singapore’s strong trading networks are important because they will help these companies seek out alternative suppliers and new markets. The agreement will have significant benefits for businesses and consumers, Singapore’s Ministry of Trade and Industry (MTI) said. Besides eliminating tariffs on qualifying goods and removing custom duties on e-commerce, it will also open up more government procurement opportunities for businesses.